Advantage of the ball valve (1) has the lowest flow resistance (virtually zero). (2) will not be stuck at work (in the absence of lubricant), and it could be reliably applied with the corrosive medium and low boiling point liquid. (3) in the large pressure and temperature of the range, can be completely sealed. 4 fast opening and closing, opening and closing time of some of the structure is only 0.05 ~ 0.1s, can be used to ensure that the test bed automation system. 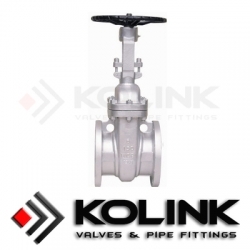 Rapid opening and closing valves, the operation no impact. 5 ball close in position on the automatic positioning. The working medium sealed on both sides and reliable. In the fully open and fully closed, the ball and seat sealing surface and the dielectric isolation, and therefore high-speed through the medium of the valve does not cause erosion of the sealing surface. Compact, light weight, can be considered when it is used for cryogenic media system is the most reasonable of the valve structure. Body symmetry, especially when welded body structure can well withstand the stress from the pipe. 10 closure of parts can withstand the pressure differential is closed. 11 full welded ball valve body can be buried underground, so that the valve from erosion, maximum life up to 30 years, oil, natural gas pipeline valve ideal. Ball valve with the above-mentioned advantages, the scope is wide, Stainless Steel Ball Valve applicable to: 1. Nominal pass through from 8mm to 1200mm. (2) Nominal pressure from vacuum to 42MPa. (3) working temperature from -204 ℃ to 815 ℃.